One of the most trusted resources for determining car value – Kelley Blue Book – was once a car dealership in 1918. Blue books were almanacs first used by the government in the U.K. for record keeping during the 15th century. Kelley Blue Book owner, Les Kelley, published a blue book in 1926 to help assess the trade-in value of a vehicle. From there, Kelley Blue Book took off, becoming a standard, go-to guide for car value. 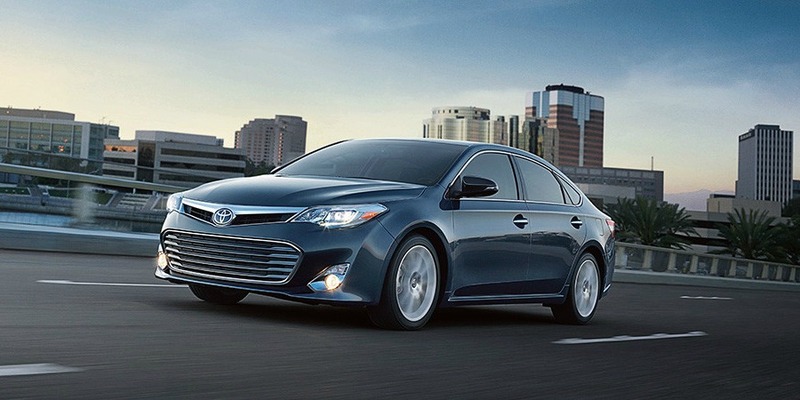 Last year, the company introduced its annual Kelley Blue Book Best Buy Awards. The awards honor the top new model year choices in the U.S. that have undergone year long series of tests and evaluations by KBB. Nominees are selected based on vehicle pricing, transaction prices, maintenance, insurance, 5 Year-to-Own data, ride quality, leg room, safety ratings, consumer reviews, and vehicle sales information. According to Kelley Blue Book, the goal is to provide a service to consumers that helps them identify top value choices for new cars based on expert evaluations. Out of 300 new car models chosen to be tested for 2016, 49 finalists across 18 vehicle makes and 12 major vehicle categories, only 12 models are picked to be Kelley Blue Book Best Buy Award winners. All of the models in the winner’s circle will be named a Kelley Blue Book Best Buy in the each of the 12 designated categories and also become an overall Best Buy of 2016 winner. Out of this year’s best picks, Elmhurst Toyota is excited to announce that Toyota received 8 nominations with the Corolla, Camry, Avalon, Highlander, Sequoia, Sienna, Tacoma and Mirai. The winners of the 2016 Kelley Blue Book Best Buy Awards will be revealed in November. In addition, Toyota was one the 2016 winners in Intellichoice and Autopacific’s annual Motorist Choice Awards. The two research companies combine cost of ownership ratings with owner-satisfaction data to determine the winner. Among those vehicles chosen were the Toyota Avalon HEV – for the large car category, the Lexus ES 300h – for the luxury midsize car group, and the Lexus CT 200h as the top premium compact car. Stay tuned in to our blog for more excited news – and of course to see which models are the winners next month!